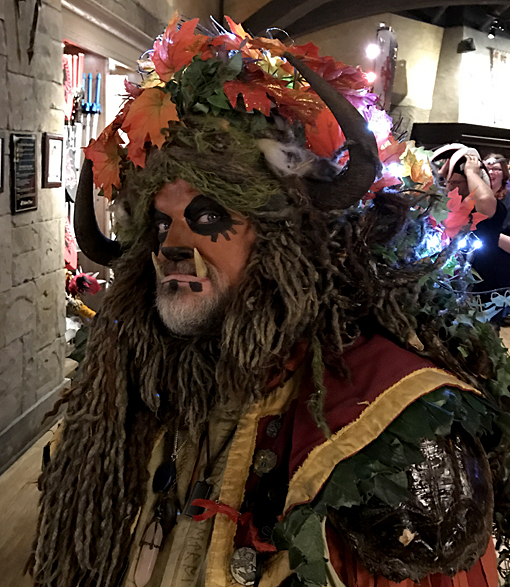 On a Friday evening not too long ago, the great cosplay talent of Dragon Con was invited to join the chivalrous talent of Medieval Times, at their Atlanta Castle. 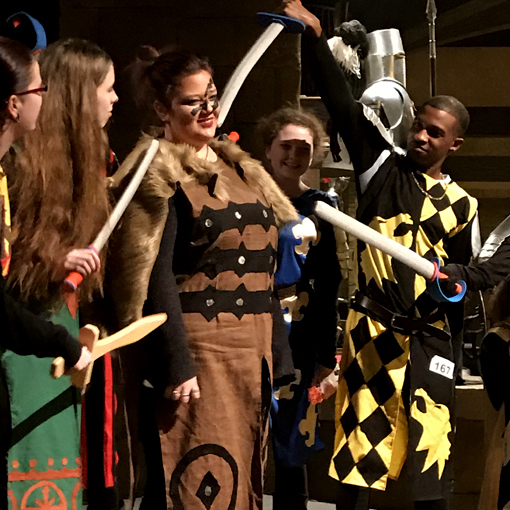 The evening was filled with festivity, joviality, a knighting ceremony, a King's Feast, a noble display of falconry, a glorious tournament...and a cosplay contest! 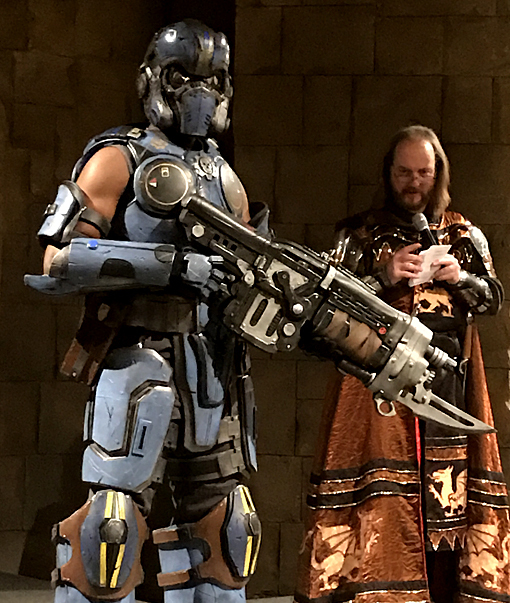 Xavier (photo above) won the grownup cosplay competition, and took home quite the treasure chest of awesome winnings. Congratulations, Xavier of Ebony Warrior Studios! I don't know most of the characters from the contest, but if you are one of the one's I post (here or in the Facebook album), or you know someone I post here, please feel free to message me your name and website or professional Facebook page and I'll be happy to tag you! 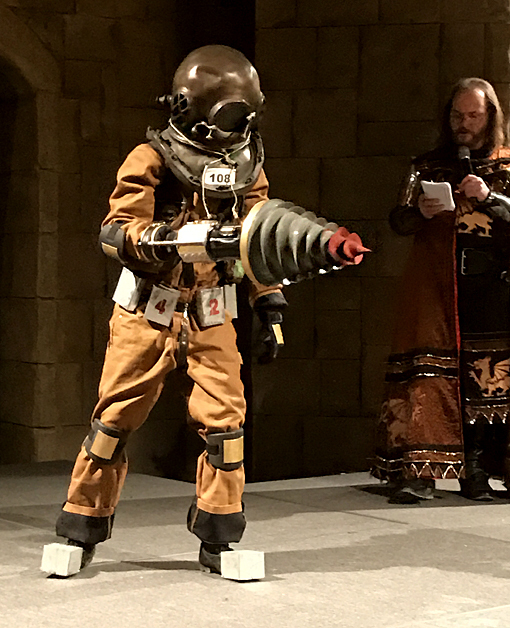 A young lady dressed head-to-toe in a Tardis dress won the children's cosplay competition. Congratulations, Riley! I'm not sure who this is, but he's a regular at Dragon Con, and quite the talented cosplayer! I love a good mashup! And this one is quite clever...The Purple Power Ranger mashed up with Prince! 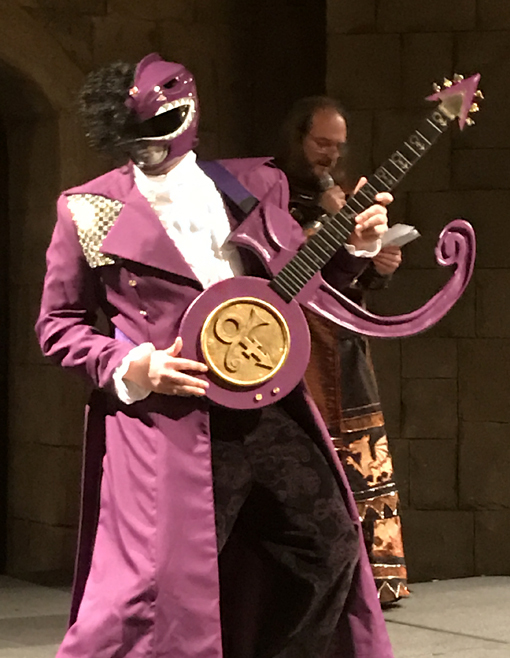 We were among royalty at Medieval Times, so it's only befitting that the Purple Ranger is a Prince! Gotta love clever! I recently game a friend the gift of a Knife Skills class at Cook's Warehouse...this is how he came back! Just kidding, of course. I love the spikes coming from out of the shoulder pads and of course the shield! Is that a shield? Who is this? 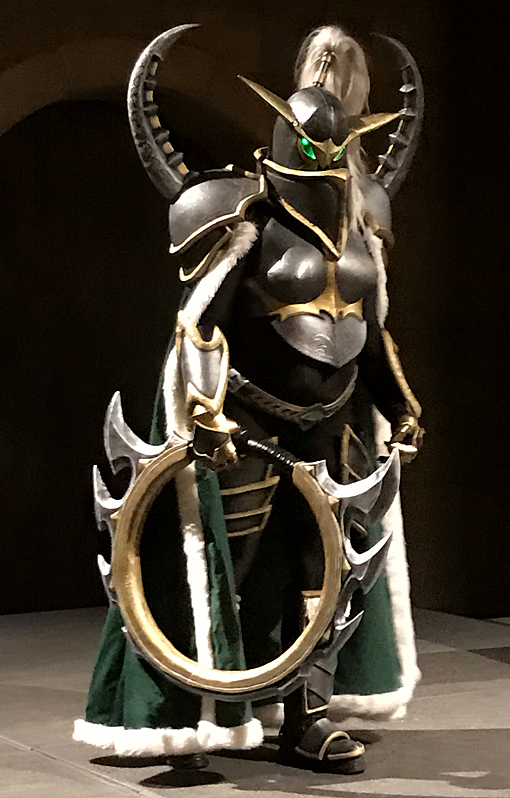 I don't know this character or person, but I do know that a LOT of work went into this awesome costume...and that I wouldn't want to be on his bad side. I can't be sure, but it looks like this Victorian diver has the answer to Life, the Universe and Everything. 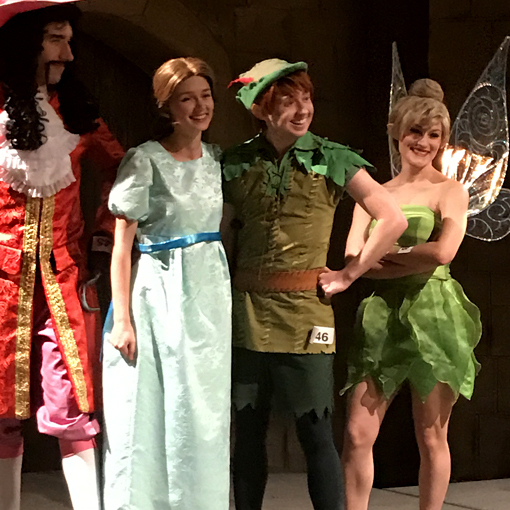 This cast from Peter Pan was amazing! It is a feat in and of itself to get a group to select a theme to cosplay, let alone pull it off as well as this band of merry cosplayers did! 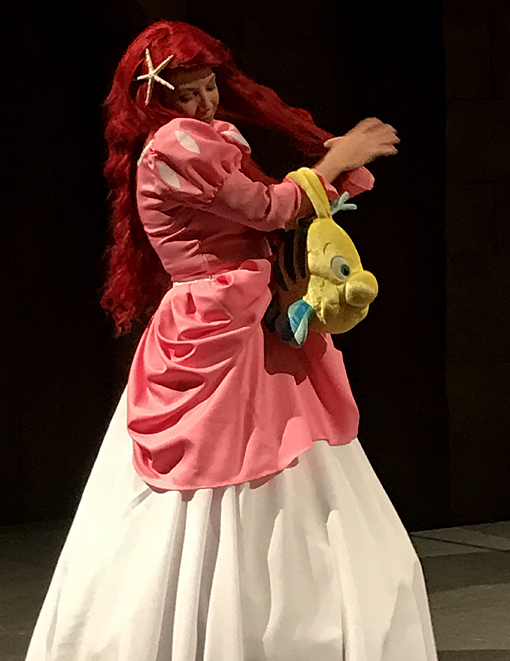 Ariel from The Little Mermaid, the first of the Disney classics I ever saw on the big screen, was awesome! She was very much in-character the whole time she was on stage...and what a great smile! These youngsters (above) were totally awesome! 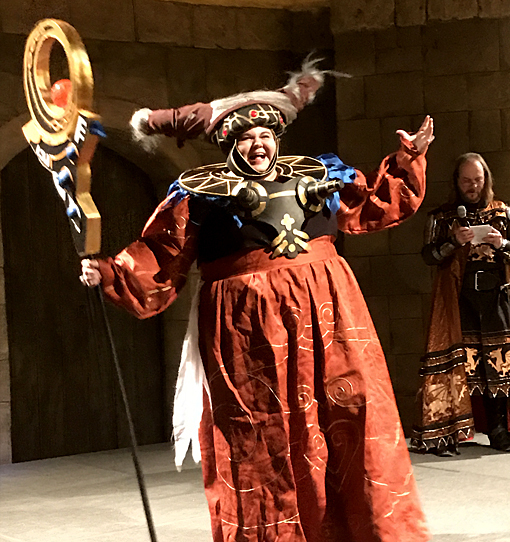 They cosplayed the Knights and Villain from the tournament and they looked like they were having the best time! Well done! In case you were wondering about the tournament that had taken place in the arena, immediately prior to the cosplay contest, it was on the Friday night immediately prior to Super Bowl Sunday, so you can imagine how excited everyone was when the Black & White Knight (who wears elements of red on his surcoat), won the tournament, surely a gesture wishing that the Atlanta Falcons would win only two days later. 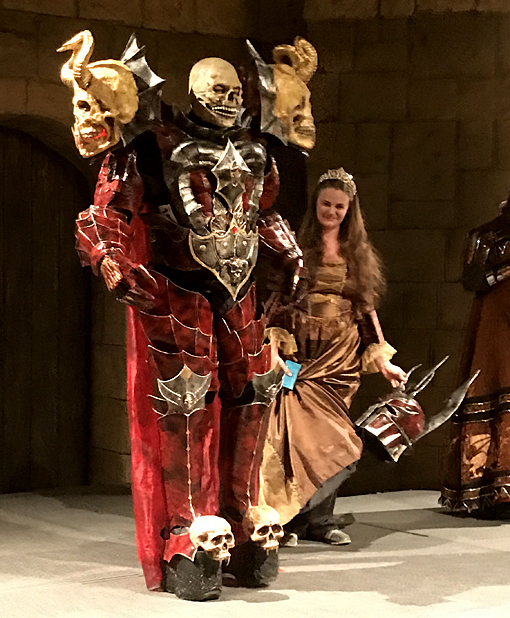 I love this annual event because it mashes up two of my favorite things, Dragon Con and Medieval Times. Thank you to both organizations for bringing us fans so much fun throughout the year!